The GAM uses the USGA's GHIN system for handicap services. GHIN Tournament Management software powered by Golf Genius is included in your GAM club membership. This tournament software also includes league software. Members can post scores on line using their desktop, laptop, tablet or smart phone. Handicap indexes are automatically updated on the 1st and 15th of each month. Each member will be e-mailed his or her updated Handicap Index on these two dates every month, Jan - Dec.
GAM member clubs have their own administrative website (www.gam.org/clubadmin) where they can add new members, activate current members, post scores, print reports, send e-mail announcements to members and more! 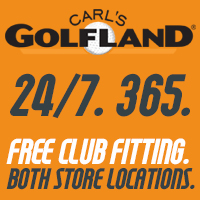 Advertise your facility through the GAM Swing & Save program. You decide on an offer you would like to extend to GAM members showing their current GAM Golf Card. You can change the offer as often as you would like throughout the season via your club administration area. 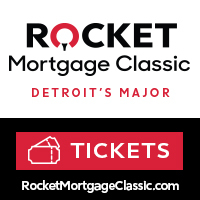 Post specific tee times to sell via the GAM web site. 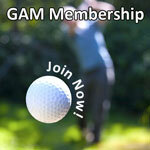 GAM member clubs enjoy special pricing on rates and re-rates. You can give your members something more than the average golf course by offering the GAM membership! Offering GAM memberships can increase your revenue. Find out how! Contact the GAM membership department at membership@gam.org to request information! At the end of the year the GAM mails you a check for every member who registers online through the GAM Website. Here is an example from a previous year. It truly pays to be a GAM Member Club!